Founded by Royal Charter in 1883, Cardiff University is a dynamic and successful centre of higher education with an international reputation for high quality teaching and research. The Cardiff University along with University of Wales colleges - University of Wales Institute in Cardiff and the Royal Welsh College of Music and Drama has a rich tradition. 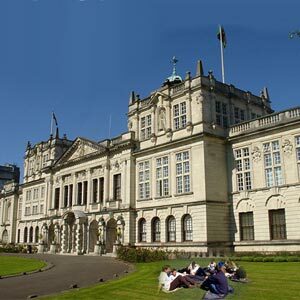 The Cardiff University has retained its position as one of the leading universities in the UK. It offers a modular system and has links with more than 100 European universities. The University has invested ?160m in new and refurbished facilities in recent years, such as a ?12m life sciences building. In August 2004, Cardiff University and the University of Wales College of Medicine (UWCM) merged together as one institution. The merger will create many more job opportunities within the region. This is also seen as a major step towards widening professional and non-clinical skills development and strengthening health services. The University has strong relationship and links with the local and regional communities.